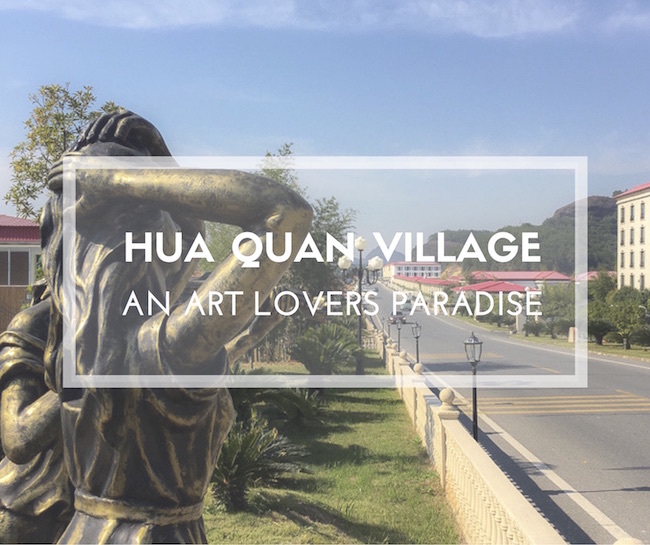 One of our art highlights of 2017 has been our visit to Hua Quan village, a recently opened art and cultural initiative situated in Jiangxi, China. Set against a spectacular background, this recently opened site is unique of its kind. Here artists and art lovers of all kind can immerse themselves in art and culture in the widest sense of the word. The stunning surroundings of Hua Quan Village, China. 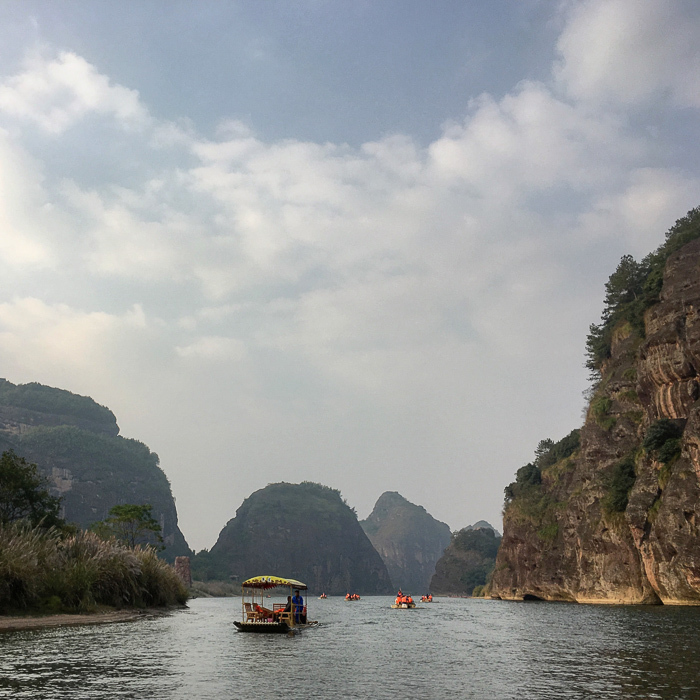 Arriving to Hua Quan village for the official opening weekend in early November felt like stepping into another world. A world where art and culture are the focus of the attention. 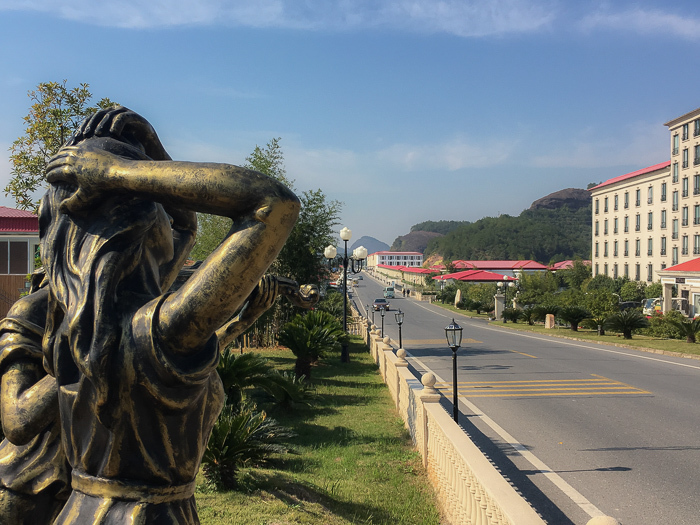 With some 100 galleries, studios and shops, 4 different museums, a permanent mural exhibition, an educational and cultural hub, a well-being centre and the nearby Dragon Tiger Mountain, there was really no chance to get bored. In fact, we would have loved to extend our ‘art weekend’ to an ‘art month’. 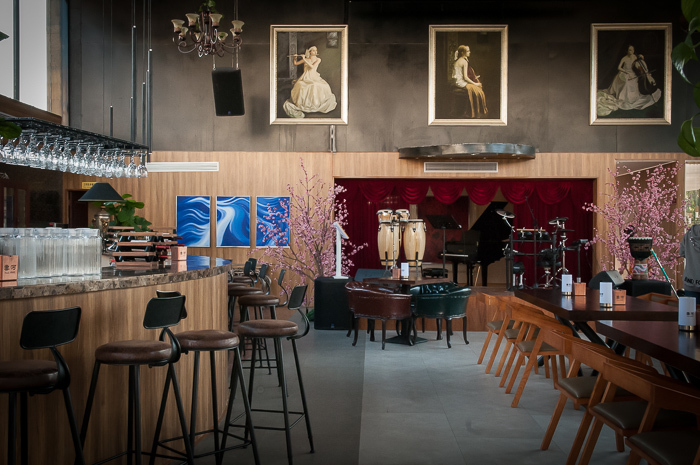 It is just the ideal place to disconnect from the world and engulf yourself in art and well-being. 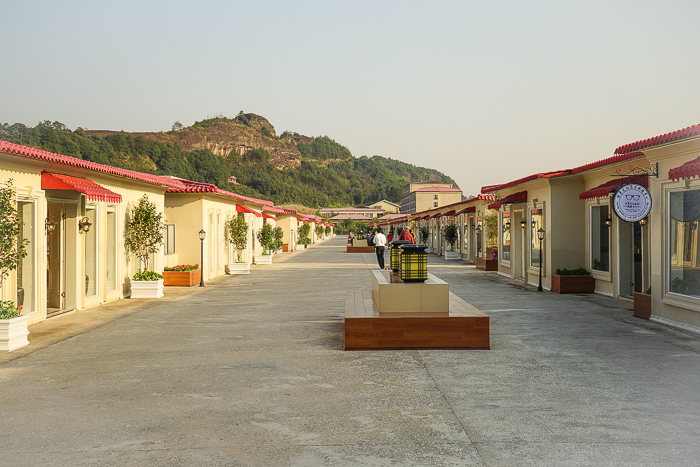 While an overall amazing place, what makes the village especially convenient, is that the whole site is situated within an easily walkable, compact enough area of about 41 acres (165,000 square meters). 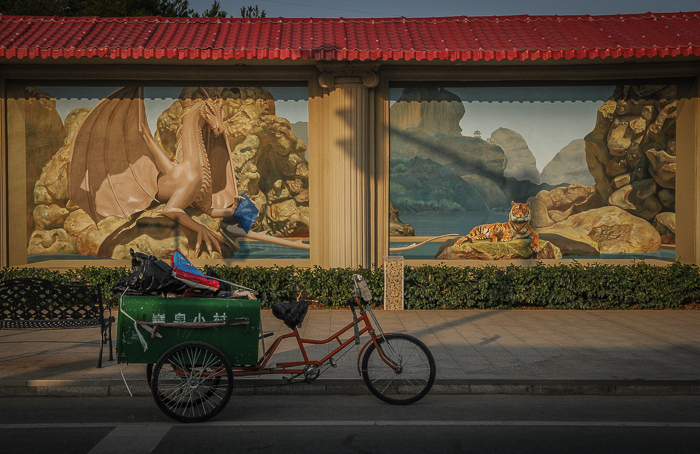 The Hua Quan Village’s ambition to become the ‘art capital of the world’ certainly indicates a high aspiration. During our visit there we felt it was easily justifiable. Below we will take you through our own personal highlights. As we are always hunting for street art, the first project our eyes fell upon was the ‘Miracle Project’. As soon as you enter the village, right next to the ‘Art Capital of the World’ sign, we noticed the first signs of the project. It is here where the first murals of the Miracle Project are visible. The project has been set up with the support of the Global Mural Association. This organization promotes and stimulates economic development in cities and villages all over the globe through mural arts and culture. The cooperation with Hua Quan feels absolutely logical, a base for perfect symbiosis. For The Miracle Project the organization and the invited muralists came back to the village several times throughout the course of three years. Every year more murals were added. With every time more murals being added, the project became more and more impressive. 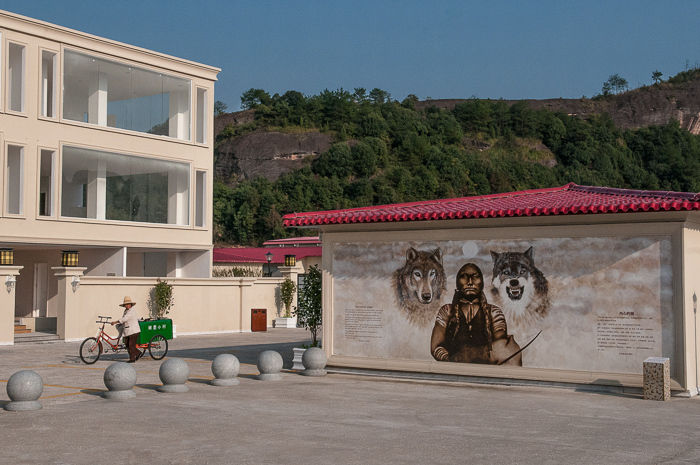 Steffen Juenemann’s mural in tromp l’oeil style at Hua Quan Village, China. All in all the Miracle Project now encompasses some 250 meters of stunning murals spread out through the village. 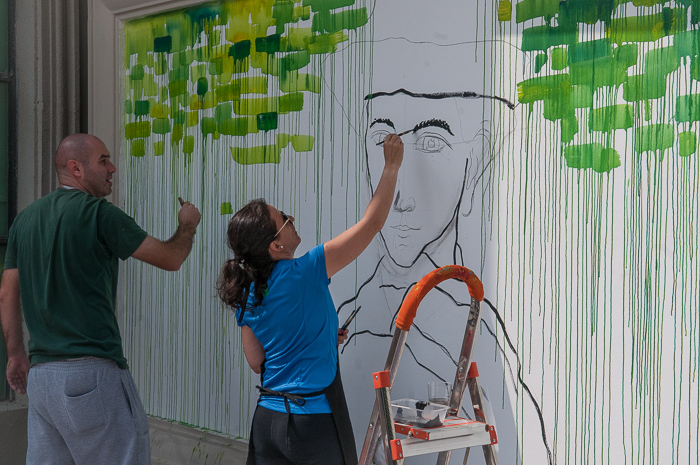 The resulting 100 murals were painted by some world-class artists coming from all over the world. Each artist painted their own interpretation of what a miracle actually means to them. 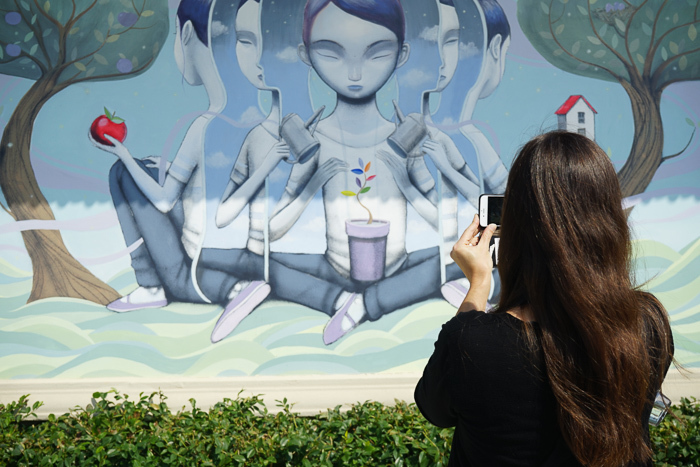 For us mural and street art lovers it was an immense joy to discover all the different murals around the village, meeting the muralists around and seeing their different interpretations of the theme. It is one thing seeing the ready creations, and definitely even better enjoying the creations in the presence of the artists. We also really appreciated the placards next to each mural, crediting the artists and telling more about their work. 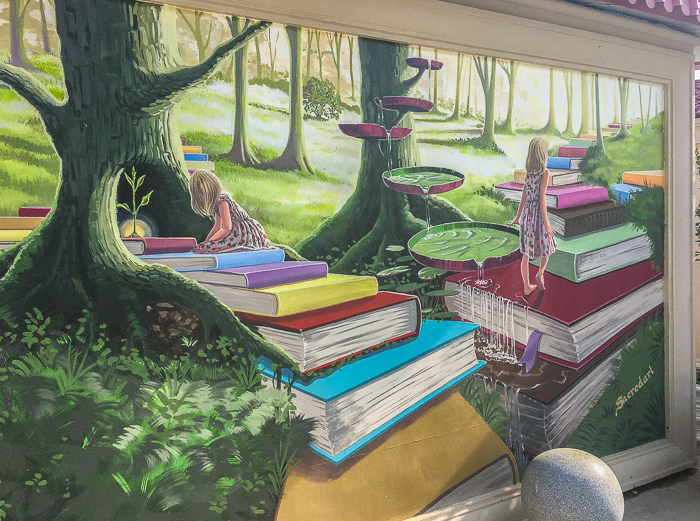 This immediately gave an extra dimension to each mural. Like to see more of this project, keep an eye open for our separate article about the Miracle Project, which we will publish in the course of this quarter. As you surely know, China is one of the oldest ancient civilizations around the world. Hence, it has a rich history and culture. It is this historic and cultural heritage that the village aims to preserve and honour. A feat that has been achieved by different means. 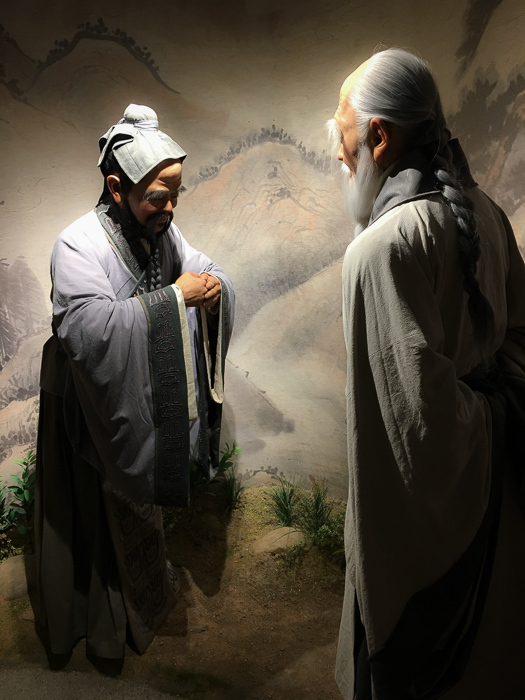 First of all there is the Chinese Cultural Museum, where you can learn about Chinese philosophy, religion, plus the literary and societal traditions. The museum does not only tell about these traditions from a historical point of view, but it also puts these traditions in a modern and global context. We found the comparisons made between the Western and Chinese culture quite interesting to see as well. If you want to get an idea what Chinese culture and history are about, make sure to visit this museum. We unfortunately had to rush it a bit and think we could have easily spent more time here. Right next to this museum we found the Chinese Porcelain Museum. In this exhibition place, porcelain of some of China’s most renowned porcelain artists is being displayed. Once you are in Hua Quan village a visit to this museum should be part of your plan as well. 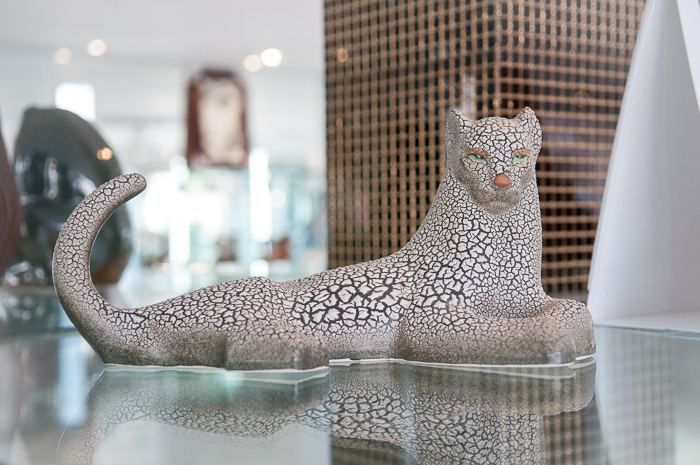 After all, porcelain originates from China and is part of the centuries old culture. Some of these works are worth hundreds of thousands of Euros (!) by the way, so make sure to be careful when walking around here! 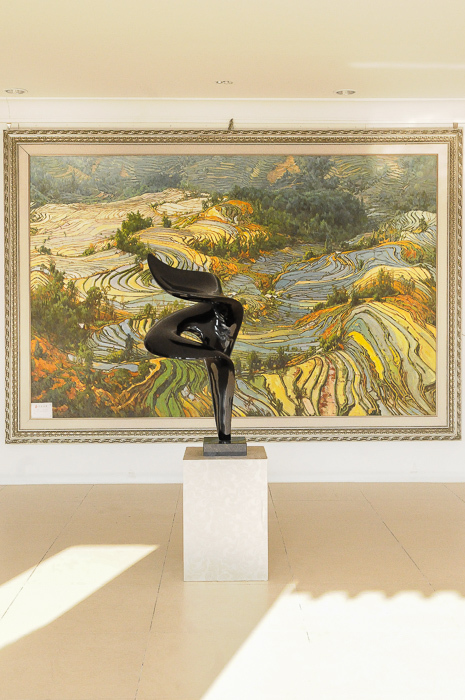 One of the museums we enjoyed for a glimpse into Chinese contemporary art is the Hua Quan Art Museum. 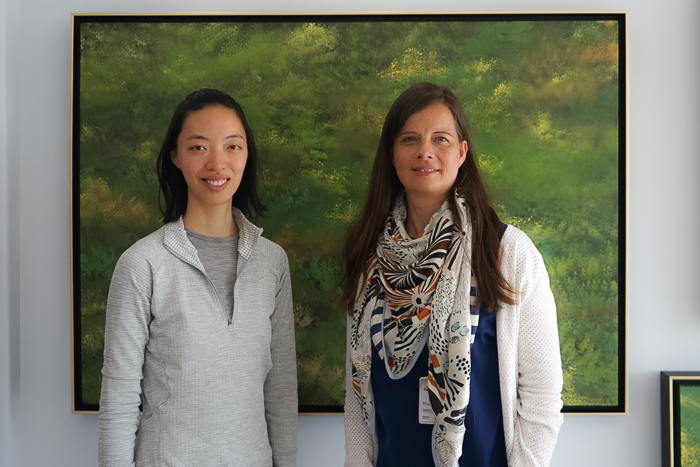 The private collection of oil, acrylic, watercolor and Chinese landscape paintings of artists across China has been donated by Mr. Liu, one of the most important individuals behind the initiation of the art village. The collection gives a good view on how Chinese art has developed throughout the past decades. Also in the galleries and studios around the village we got a great impression of the culture and arts from throughout China. From traditional crafts like Chinese calligraphy and woodcarving to modern and contemporary Chinese art, you will find it here. We were also very lucky to witness some of the artists enthusiastically demonstrating their skills. One of the things I found fascinating to see throughout the museums and galleries was that the centuries old traditions are still kept very much alive. Also, while traditional Chinese symbolism is strongly present in traditional Chinese art, it was interesting to see that it is as much used in many of the modern art pieces. 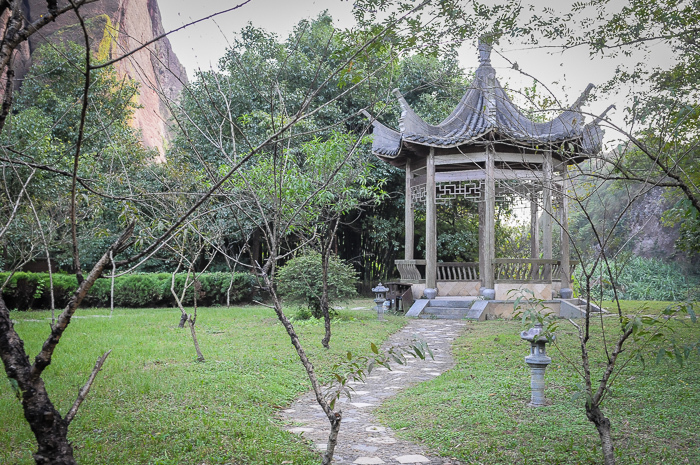 Besides learning about Chinese art and culture, Hua Quan Village is also set up for people to experience their own creative journey. The serene and calm surroundings already form a perfect base for this. Yet, it is the village that aims to make your art retreat as pleasant, inspirational and educative as possible. 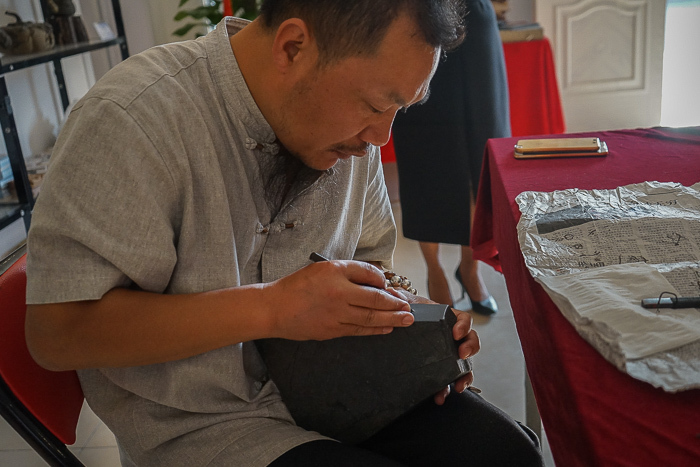 With workshops on different topics, like Chinese calligraphy, Chinese landscape painting and pottery, the only thing you have to do is pick the course of your interest and open yourself up for the experience. All workshops are being given by well-known artists from across China, as part of their artist residency. 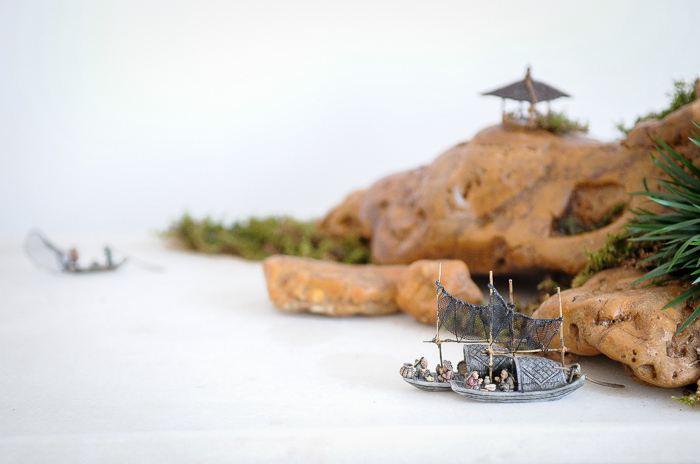 They usually take place either in their studios or in the Art and Cultural Education Centre. Traditionally Chinese culture is very much focused on the well-being of the soul and body. For many Chinese it is for example a daily habit practicing tai chi or yoga, as I witnessed before while traveling through China. Participating in the well-being courses available in the village felt, therefore, as a natural part of daily life for us. It’s a great way to start the day or break your day for some fresh energy. Also for these courses the village has invited instructors from across the country to give courses and presentations on different topics like yoga, qigong and tai chi. 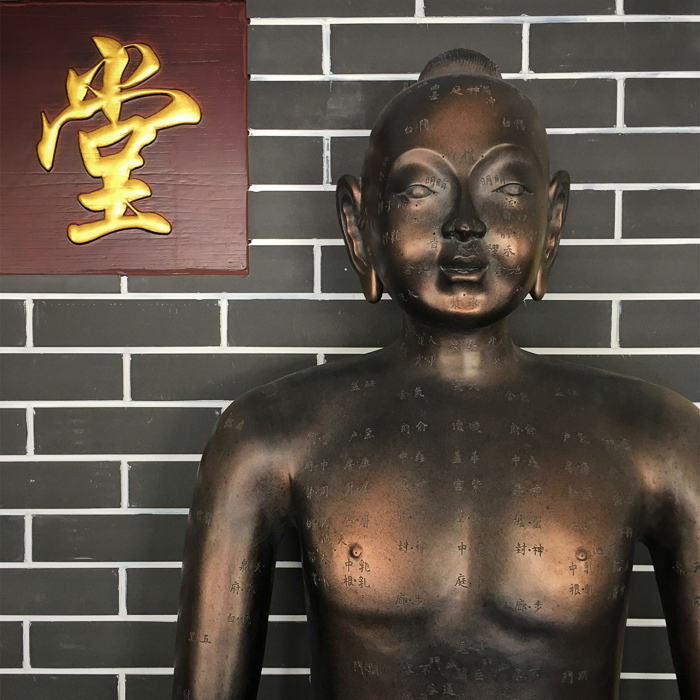 There is also a well-being centre in the village, where you can learn more about traditional Chinese medicine, including acupuncture and herbalism or get advice and treatment. 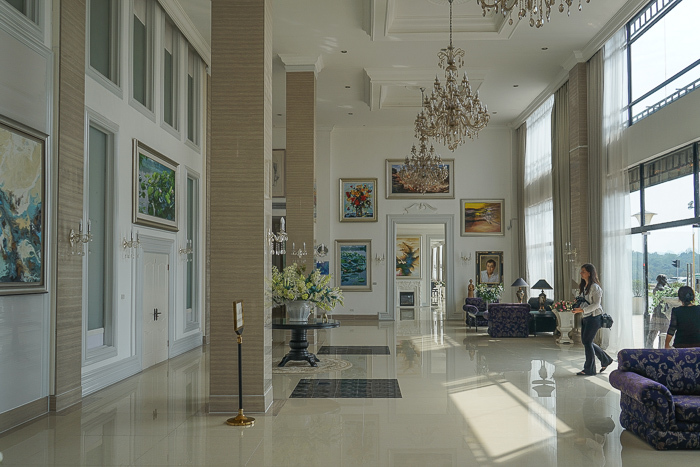 Some of the best-known Chinese specialists are said to have resided here, so we are sure you’ll be in good hands. Mind you, the village is not only about Chinese art and culture. 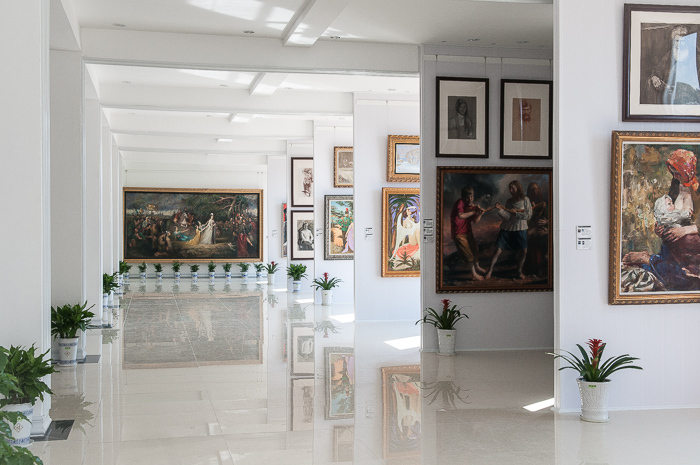 In the Hua Quan International Art Museum works of mostly Russian artists are exhibited, thanks to a collaboration with the Repin Academy of Fine Arts from Saint Petersburg, Russia. Another gallery gives you a rare look into North-Korean art. 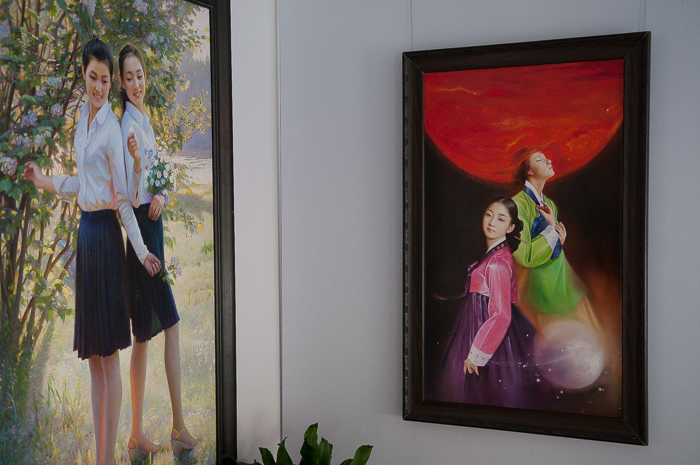 The gallery displays oil paintings – mostly hyper realistic portraits – of different North-Korean artists. Last but not least, we feel we need to tell something about the main persons behind the village. 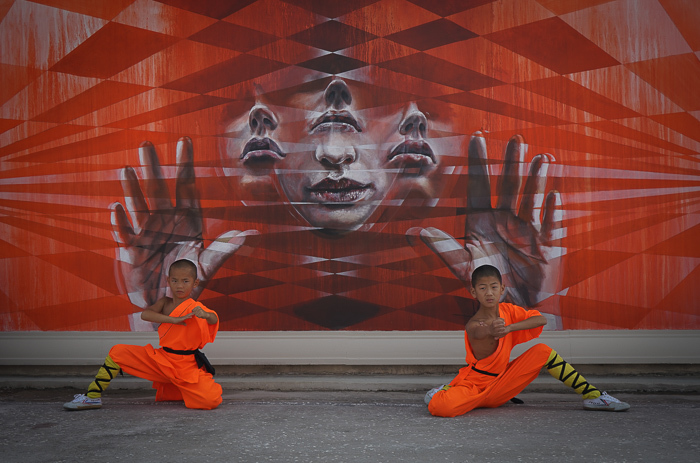 These three individuals are represented in the Hua Quan logo by the three hands, each in a different colour. First of all we have Mr. Steven Liu. 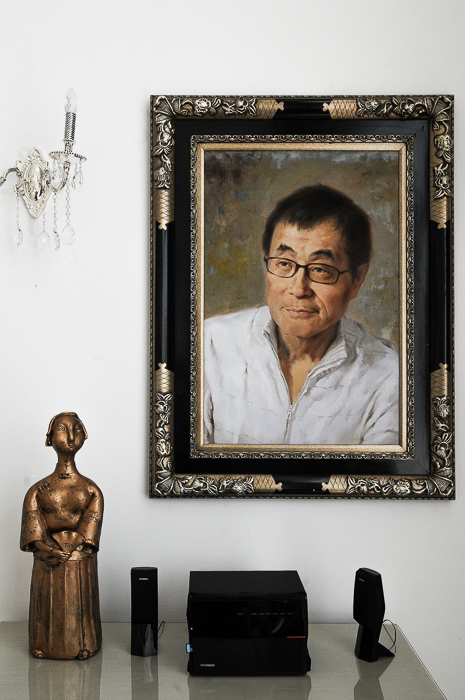 Mr. Liu is one of China’s most famous music and film directors (check out the Liu Jian Chang Records Museum for many of his records!). 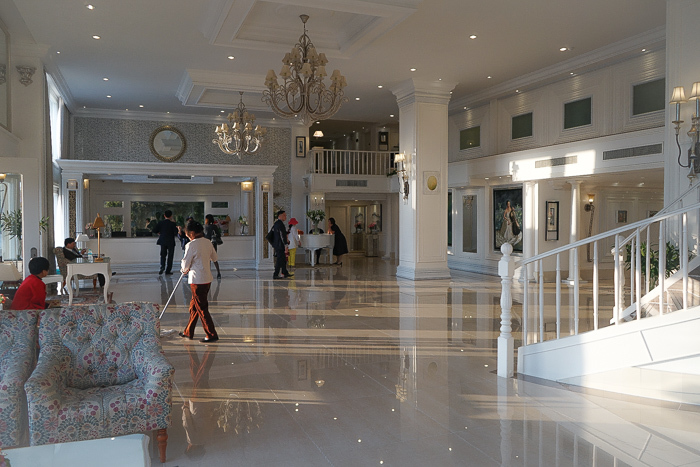 Mr. Liu designed and built the village based upon the ideas of Ms. Susan Wang, the daughter of Mr. Y.C. Wang, an influential Chinese entrepreneur to whom the Y.C. 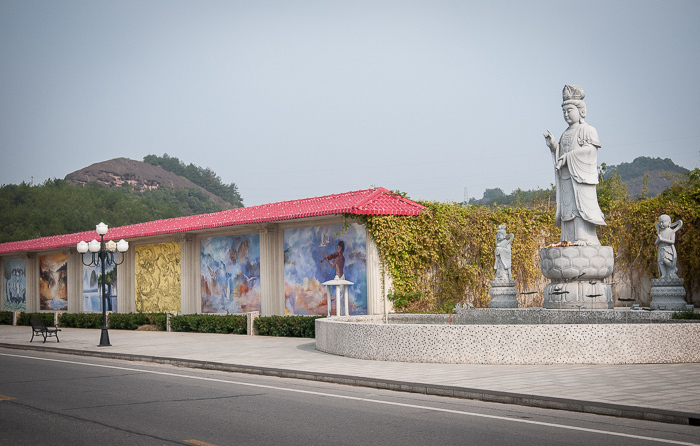 Wang Memorial Museum in the village is dedicated. 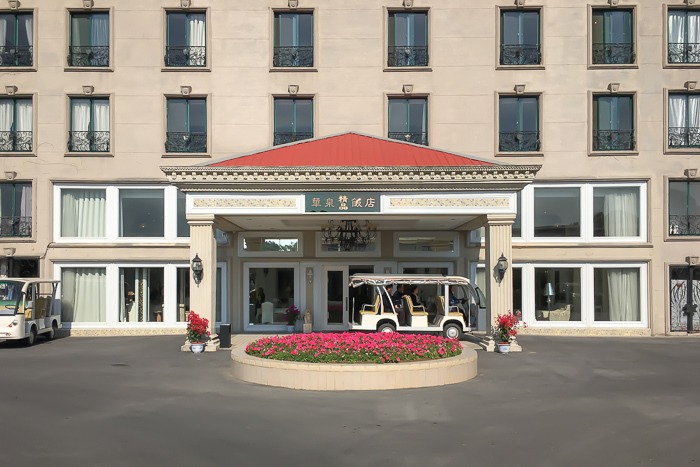 It was Ms. Wang who had the vision to create the village as a place where truth, compassion and beauty reign as the fundaments for living and being on our Earth. Lastly, but certainly not less importantly, there is Ms. Lena Young, who put together among others the educational part of the program available in the village. She has been extensively involved with the local community during the whole project. 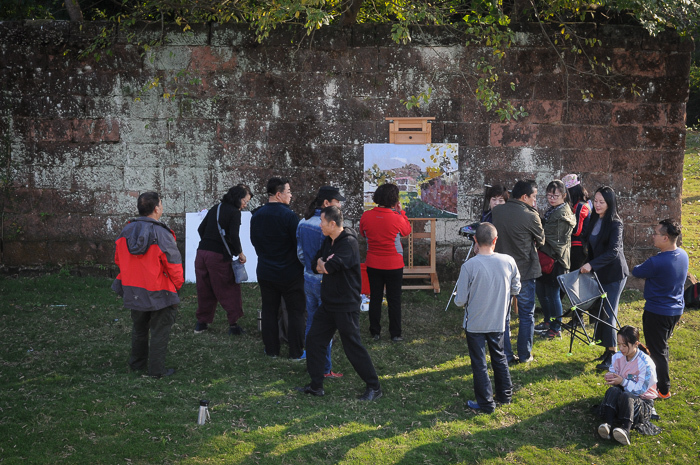 Not only to make art accessible for a Chinese audience, that would otherwise never be exposed to art, but also and maybe most of all to improve their lives through the opportunities this village creates for them. Artist Lena Young with one of the two Art Weekenders, Lydian. Lena painted many of the paintings around the village right at the spot in the months before the opening weekend. She now has her own gallery at the Main Street of the village. Together Steven, Susan and Lena have created a wonderful and magical place, that is not only there for foreign and Chinese visitors, but as a meaningful hub for the local community as well. The Hua Quan Village logo. 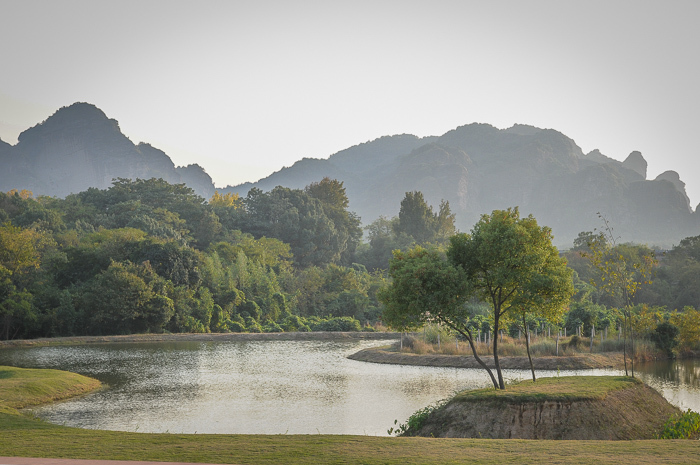 While planning your visit to the village, make sure to reserve enough time for visiting nearby Dragon Tiger mountain (or locally also referred to as Longshu Mountain) and the nearby temples as well. It is one of China’s most beautiful natural heritage sites and since 2010 also a UNESCO World Heritage Site. The mountain is famous for being one of the birthplaces of Taoism and one of the Four Sacred Mountains of Taoism in China. Dragon Tiger Mountain from a raft on the water. There are different ways to see the mountain range. You can see it for example from a raft on the water or by walking the plank trail, built along the cliffs of the mountain. If you are afraid of heights choose for the first one. At night you can visit ‘The Dream of Tao‘ here. The performance and light-show, which is partially taking place on the river running through the mountain range, is pretty spectacular even without understanding the exact story. 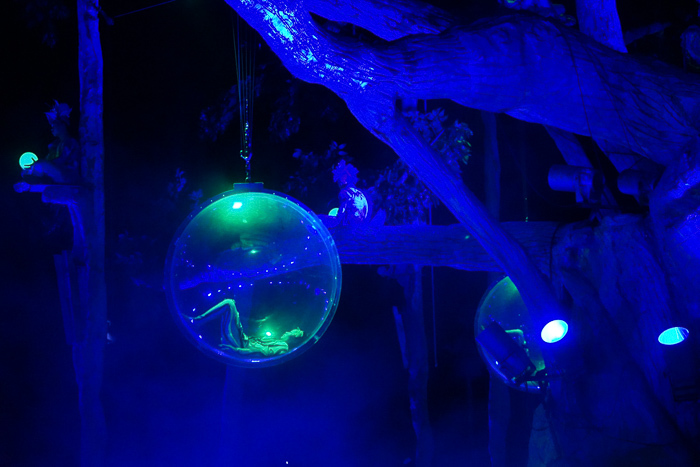 The acrobats and performing artists give a show, which is a true delight for the eyes and senses. During our weekend-long visit to the village we got a great view of what the cultural and art world in China is about. 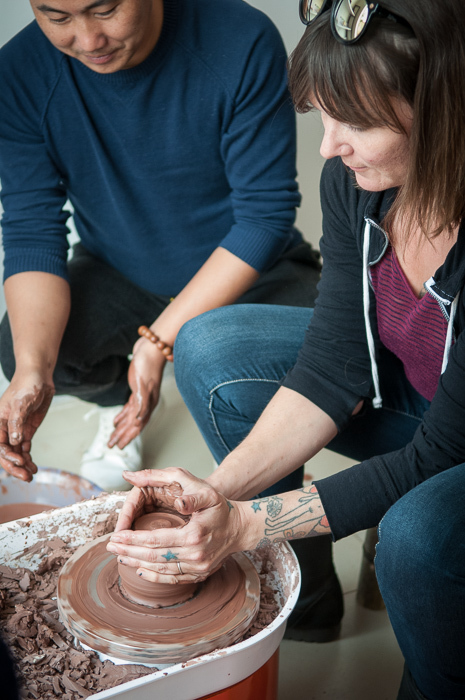 We got a welcoming opportunity to reconnect with our own passions for the arts, something I feel the time is often lacking for in our current busy daily lives. The thought that we should make much more time for our passions and our well-being has since our visit, certainly found a more profound place in my mind. Are you already getting overwhelmed with what can be found in this little village in the midst of China? We were for sure impressed by its scale, the variety of the activities, arts and culture we found here. Let alone the excellent standard with which all has been built and the future potential it has, because there is surely more to expect. As there is so much to see and to do in the village and around, we recommend you to plan your visit for multiple days. There are a number of excellent hotels, where you can stay for the night, as well as restaurants, bars and little supermarkets. Most visitors to China will require a visum. This usually means a visit to the Chinese embassy or consulate in your country. We discovered that nowadays there also exists a so-called ‘e-visum’. You can apply for this online through different agencies in your country. We used Visum China in The Netherlands. Do note that the ‘e-visum’ is actually a group-visum (with a minimum of two travellers). Thus, (for now) an e-visum is not an option when you are traveling alone. Also, the rules for obtaining an ‘e-visum’ are continuously changing. We therefore recommend you to check the details and possibilities well before your planned departure date. At the moment we were traveling to China the e-visum was only available for travellers flying to Shanghai for example. Luckily that was the exact city we were flying in to, making this a convenient coincidence. View over Hua Quan Village from the well-being centre. It may be a bit challenging traveling in China without knowing the language. Basically, the further away from well-known cities such as Shanghai or Beijing, the more challenging it can get. These days travel in China is made much more easy thanks to all digital tools available. Even communicating with the locals is now possible without speaking the language. We used the Google Translate App with some of the gallerists for example. In this way we could actually learn a lot more about their work and vice versa. And who knows what the future might bring to this communication aspect? Our hotel in Hua Quan Village, China. With a speed of up to 300 kilometers per hour you can imagine how much time you can save when traveling by bullet train in China. Thus, to get to Yingtan (the train station nearest to Hua Quan Village) from Shanghai as fast as possible, we took a bullet train from Shanghai. Instead of eight to ten hours traveling the journey only took us around three hours. You can check the options and book your ticket in advance (recommended) at the website of Ctrip or Travel Guide China. The village is situated just half an hour away from the Yingtan train station. Although there are buses available, a taxi is likely easier depending on the time you arrive. Make sure to print or make a note of the address in Chinese characters, so your driver knows where to go. The village is fairly new and not every taxi-driver might be familiar with it yet. Check out the website of Hua Quan Village for travel from other destinations than Shanghai. Last but for most people nowadays not least: when you are in China be prepared for some websites and applications you are commonly using to be blocked. We experienced that many social media channels, such as Facebook, Instagram, but also WhatsApp are not easily accessible. A solution for this is installing a VPN connection on your devices. Once we got this set-up, we could get online whenever we had wifi. We were invited to Hua Quan Village by the organization behind the village. All the above, however, is our personal opinion. Our special thanks go to Andrew Young for his kind support and guidance throughout our visit. 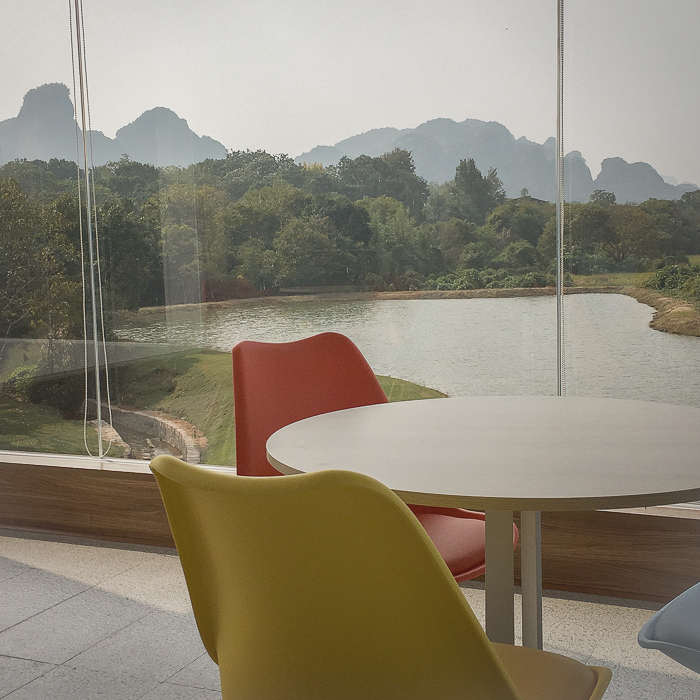 Are you looking for more art destinations in Asia? Check out our post about the art island Naoshima in Japan and keep an eye on our future articles from the region. For more art destinations in Europe browse our destination pages.